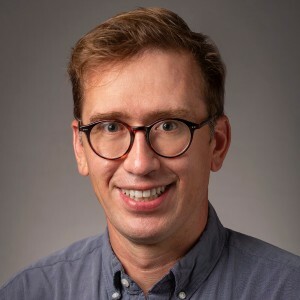 Nathaniel Raymond researches how information technologies affect human rights and security at Yale University’s Jackson Institute of Global Affairs in New Haven, Connecticut. A broader fix is needed. Right now, data science overlooks risks to human participants by default. In 2016, data scientists Jacob Metcalf and Kate Crawford first articulated an inherent flaw in the protection of human research participants: guidelines wrongly assume that data that are already public cannot pose new threats and so exempt the use of such data from review (J. Metcalf and K. Crawford Big Data & Society January–June; 2016). Recently, a council convened by the US National Science Foundation to lay groundwork for big-data ethics concurred. It concluded that technology had created “mismatches” between conventional ethical paradigms for protecting individuals and new sorts of “informational harm”. Data science can aggregate publicly available data to create and classify new groups of individuals. That can pose threats to privacy, security and dignity. For example, purchasing patterns can allow retailers such as Target to identify women who might be pregnant, and researchers have been able to re-identify individuals almost 90% of the time from supposedly anonymized credit-card data. Two new types of group data are inappropriately exempted in some cases by current guidelines. The first is demographically identifiable information — data that allow inferences to classify, identify or track people (named or unnamed) or groups of people according to ethnicity, economic class, religion, gender, occupation, health status or other combinations of factors. The second is what I call action-based information, such as mobile-device data that reveal time and place-specific behaviour. IRBs need help to assess these risks. How do Belmont principles apply to methods that use publicly available data to identify people who died from opioid overdoses? What new machine-learning methods for leveraging mobile-phone data to trace contacts might expose vulnerable populations, such as people with HIV, to social stigma and exclusion from services if the data become public? The scientific community needs agreed-on frameworks to cope with these sorts of group data. Tweaks to existing rules are not sufficient. Nor is another round of working groups and ‘call to action’ articles. The European Union’s General Data Protection Regulation provides some defence (in some countries) against misuse of online data, but protection for research is sorely lacking. Continued acceptance of the lack of guidelines is an abrogation of the research community’s ethical duties. We should call on Congress, in parallel with international bodies such as the World Health Organization, to authorize a national commission to write another Belmont Report to deal holistically with applications of data science that will only become more complicated as technology progresses. IRBs can help by capturing what big-data research has and has not been considered exempt, and publishing cases of how specific ethical challenges might best be addressed. This will not eliminate risks or rein in all bad practice. But it would be a pivotal step towards encouraging international harmonization of disparate approaches to difficult questions that face researchers around the world. Belmont 2.0 can ensure the clear benefits of big-data research are adequately balanced against poorly understood risks and harms. It should not require abuses on the scale of the Tuskegee syphilis study to prompt us to create guidelines fit for the digital world.